I've always adored those people who have white teeth, I was thinking they must have spent more money to whiten their teeth permanently. Well, I inquired before when I was still in my native country, and yes I was right! It cost me a fortune to have my teeth whitens. So, I skipped that idea and deal with what natural color I have. Then recently, there have been so many easy and cheap ways to help your teeth whitens that would not cost you a wealth and lucky enough to be able to try it for free. I received a Professional Teeth Whitening Kit from Dr. Song to test. I'm ecstatic as this would be the first time I'll be using the whitening kit and with the instruction provided to me, I would say it would be easier to do my own whitening than going to clinics, which saves me a lot. The procedure is very simple and safe, as long as you read the instruction you'll be fine. You might be wondering about the kit and how it works like I mentioned as long as you read the manual you know where it is for and what are you going to do. When I tried the product, it feels funny, as I mentioned that this is my first time to do it on my own. You will have that guard that will protect those gel from getting into your tongue. 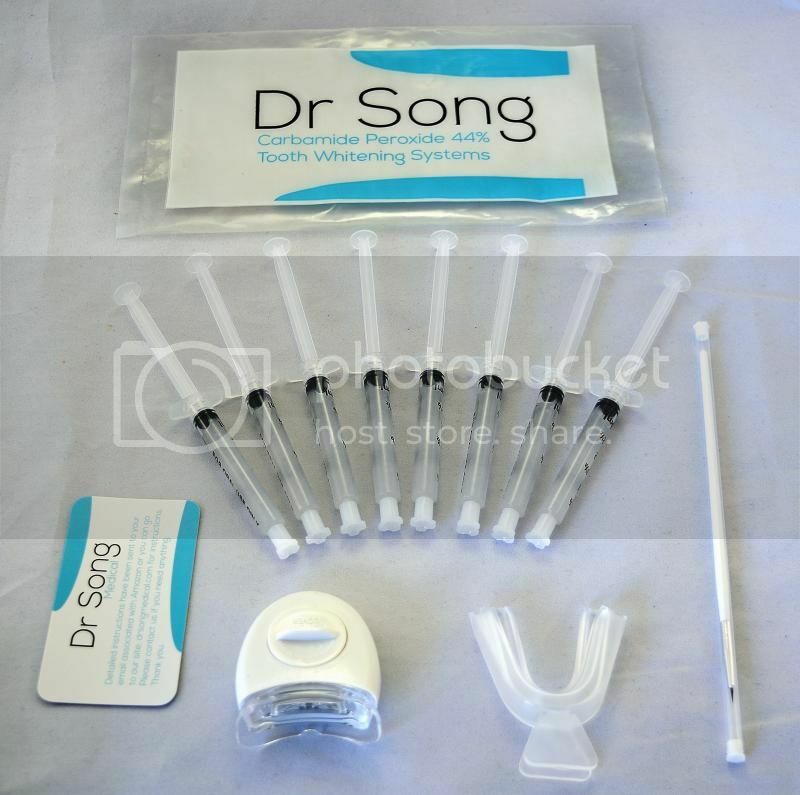 Because I want to save money and feels like to have a nice and white teeth, I do hope Dr. Song's kit will work for me. I can smell the peroxide that gel it doesn't taste bad at all. I honestly have trouble to figure things out, glad I have the instruction they emailed to me, it does help a lot. Overall, the product is indeed amazing, I can't wait for days or even week for a result. Like to try the product? You can find it on Amazon, Whole kit for only $34.99.